There are a variety of reasons an Admin may need to Void a job. If they fail to note those reasons, it can affect invoicing or paying an interpreter. 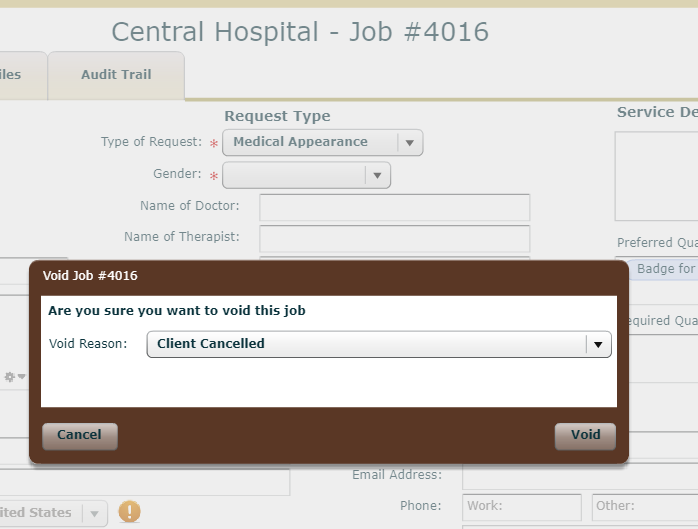 To make these jobs easier to manage and track, a pop up will automatically appear with a list of Special Condition tags. The Admin will select one of the Special Condition tags and it will automatically be added to the job. You will not be able to add one of these Void Reasons as a Special Condition without going through the void process. 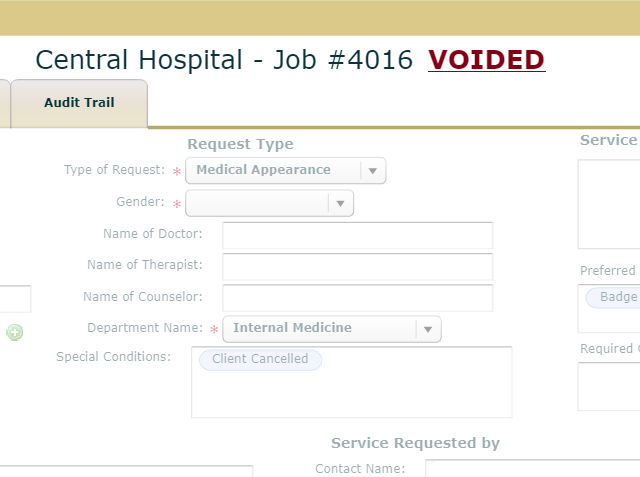 If you unvoid a job, the Special Condition is automatically removed.